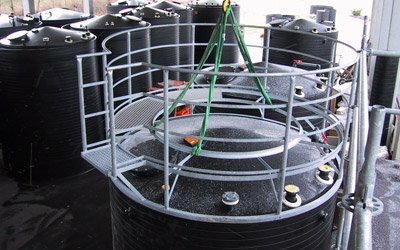 Vessels are manufactured in spiral wound Polypropylene or High Density Polyethylene (PE100) and are a completely homogeneous construction. 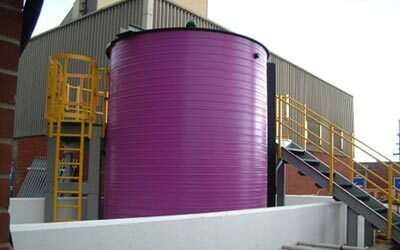 All Vessels are designed and manufactured in accordance with European Standard BSEN12573:2000 which allows for a minimum vessel design life of 10 years with no restriction on the number of filling and emptying cycles. 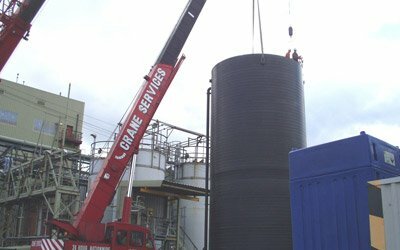 CPS fabricators are trained and accredited to CSWIP-PW-6-96 for the welding of thermoplastics including cord welding and extrusion welding. 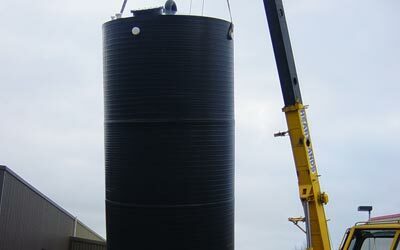 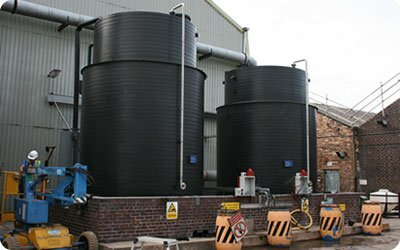 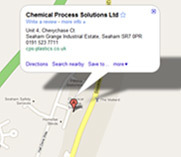 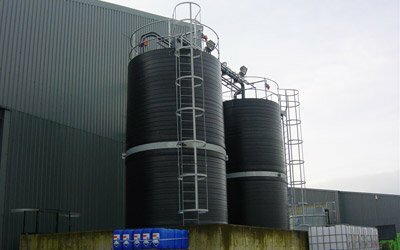 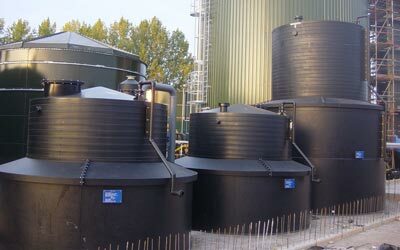 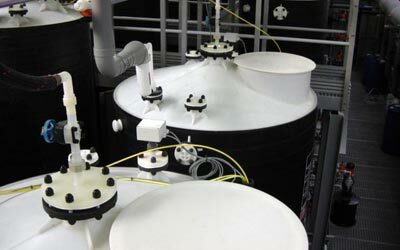 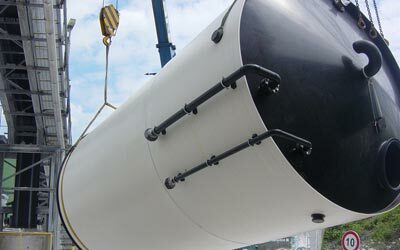 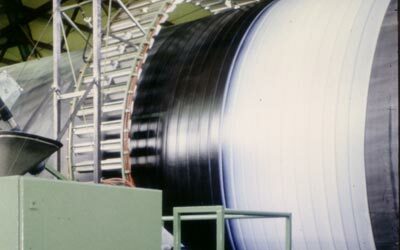 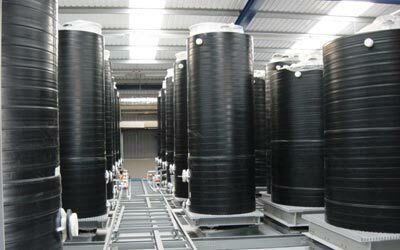 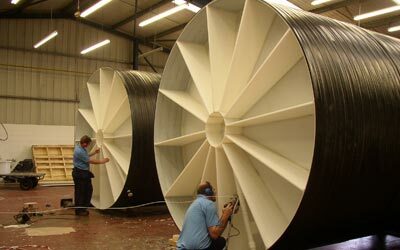 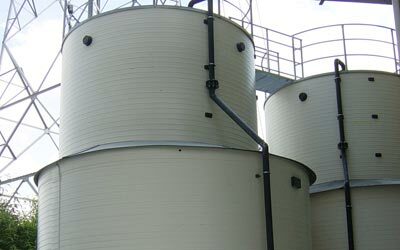 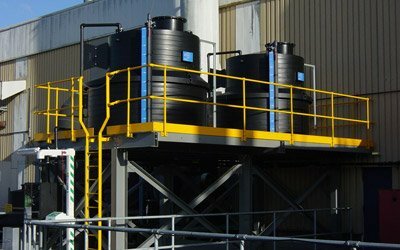 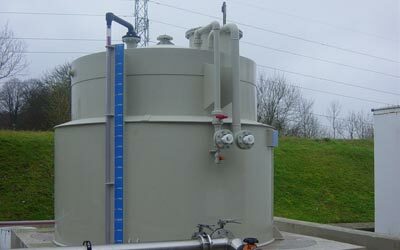 Vessels can be manufactured up to diameters of 3.5m and capacities of up to 80,000 litres. 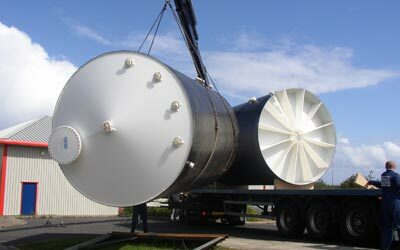 All vessels can be supplied with a variety of lid and base configurations and full bunding if required.